Click PDF Newspaper to download the Temple Open House 4-page newspaper given away at temple open house events around the United States. We are Evangelical Christians who want people to know more about the differences between the biblical temple of Jerusalem and the 153 Mormon temples located around the world. The temple in Jerusalem was all about animal sacrifices. People brought these animals to have them slaughtered on behalf of their sins. Jesus fulfilled this, according to the biblical book of Hebrews. Most of the work in the Mormon temple is not about blood sacrifices but rather about work on behalf of the dead. If you take a tour, you will have a chance to see most of the rooms in this temple. However, you will not have the chance to see the washing and anointing room. Ask at the end of the tour why you weren’t allowed to see this room. 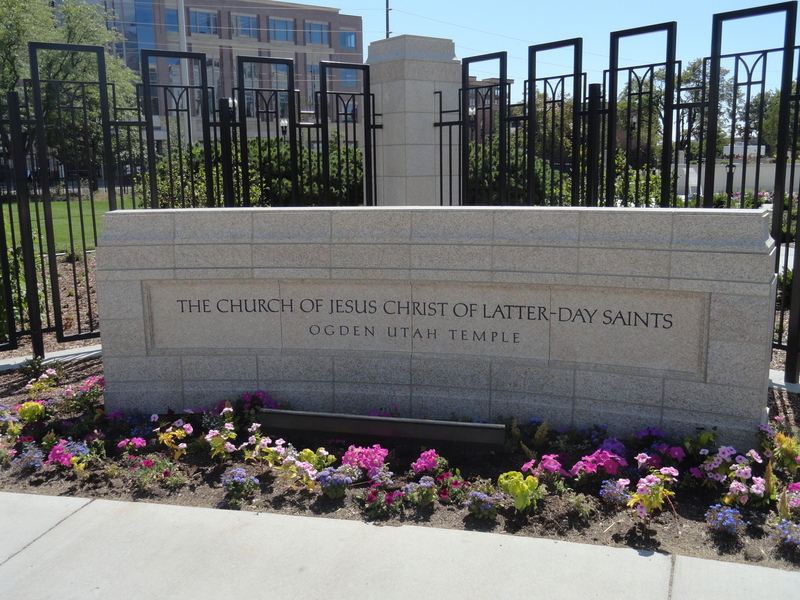 If the Mormon Church is wanting you to know more about its temple, why the silent tour? And why hide this room? While the Mormon temple has many paintings of Jesus and His name is even part of the church’s title, one thing you will not see is any depiction of the cross. This is an important symbol of the Christian church for 2,000 years. The apostle Paul said in 1 Cor. 1:18 that the preaching of the cross is foolishness to those who are perishing. Below is an article on the endowment ceremony. You can also go here to see many more articles and resources on the topic of the Mormon temple. Look at both sides and see if this temple bears any resemblance to the temple of the Bible. What is the Endowment Ceremony? Participation in what is called the temple “endowment” ceremony is an important facet of the LDS faith since it is in this ritual where Mormons learn secret “key words,” “signs” and “tokens” that they hope will help them return to God’s presence. “Your endowment is, to receive all those ordinances in the house of the Lord, which are necessary for you, after you have departed this life, to enable you to walk back to the presence of the Father, passing the angels who stand as sentinels, being able to give them the key words, the signs and tokens, pertaining to the Holy Priesthood, and gain your eternal exaltation in spite of earth and hell” (Discourses of Brigham Young, p. 416). Since its founding in 1830, the LDS Church has caused quite a controversy among Bible-believing Christians. While Mormons have every right to believe as they may, many leaders of the LDS Church have made some serious accusations against what millions of Christians hold dear. These statements must be challenged in light of history and the Bible. “In Biblical times sacred ordinances were administered in holy edifices for the spiritual salvation of ancient Israel. These buildings thus were not synagogues, nor any other ordinary places of worship… Following the pattern of Biblical days, the Lord again in our day has provided these ordinances for the salvation of all who will believe, and directs that temples be built in which to perform those sacred rites” (Why Mormons Build Temples, p. 2). The Mormon Church has more than 100 other temples scattered across the globe; the Jews recognized only the temple in Jerusalem. The priests officiating in the Jerusalem temple had to be from the tribe of Levi. This was commanded in Numbers 3:6-10. The Mormon Church ignores such commands and allows its “temple-worthy” members who have no such background to officiate in its temples. Wedding ceremonies never occurred in the Jerusalem temple, yet this is a common practice in LDS temples. Baptism for the dead is the most common activity in Mormon temples. No such practice was ever performed in the Jerusalem temple. While many Mormon families have been “sealed” for time and eternity in LDS temples, the Jerusalem temple provided no such ordinance. Mormons are told that the temple ceremony came by way of revelation to Mormonism’s founder Joseph Smith, Jr. According to Mormon Apostle John Widtsoe, “Joseph Smith received the temple endowment and its ritual, as all else he promulgated, by revelation from God” (Joseph Smith-Seeker After Truth, p. 249). Mormon Apostle Bruce R. McConkie echoed this same thought when he said the temple ordinances were “given in modern times to the Prophet Joseph Smith by revelation, many things connected with them being translated by the Prophet from the papyrus on which the Book of Abraham was recorded” (Mormon Doctrine, p. 779). This is quite a statement since the Book of Abraham (regarded by Latter-day Saints as sacred scripture) has been shown to be an inaccurate translation of an ancient Egyptian funeral text. “In Biblical times sacred ordinances were administered in holy edifices for the spiritual salvation of ancient Israel. The buildings thus used were not synagogues, nor any other ordinary places of worship. They were specially constructed for this particular purpose.… Following the pattern of Biblical days, the Lord again in our day has provided these ordinances for all who will believe, and directs that temples be built in which to perform those sacred rites” (Mark E. Petersen, Why Mormons Build Temples, p. 3).